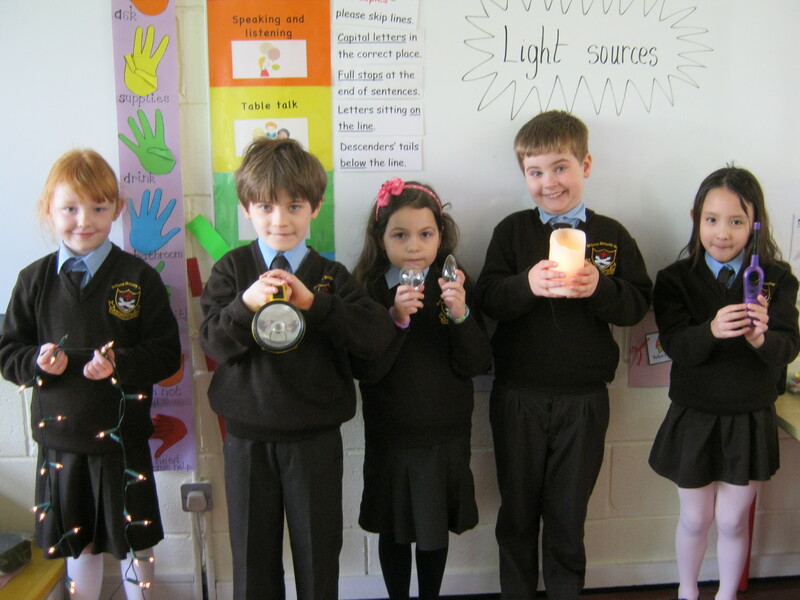 We are learning about light in first class. 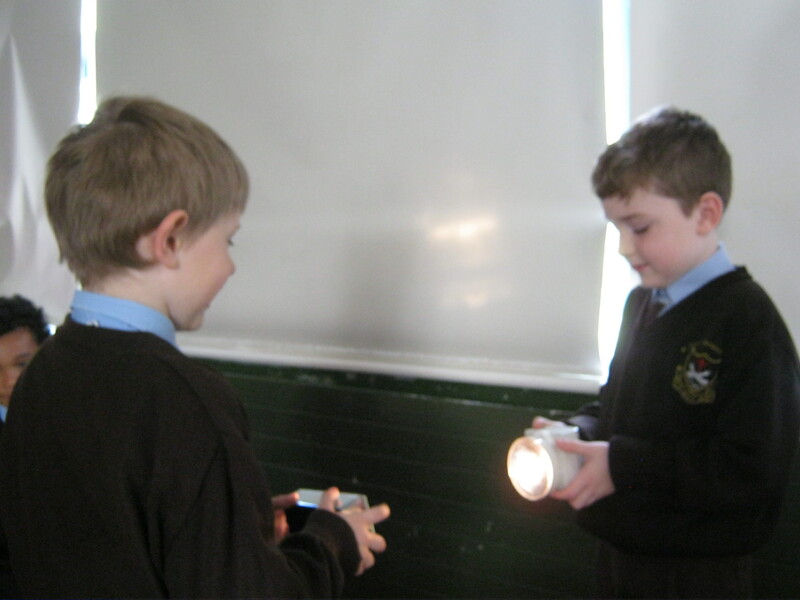 Light comes from a light source like the sun, fire, torches and candles. If you block the light source you create a shadow. Light shines through some things. 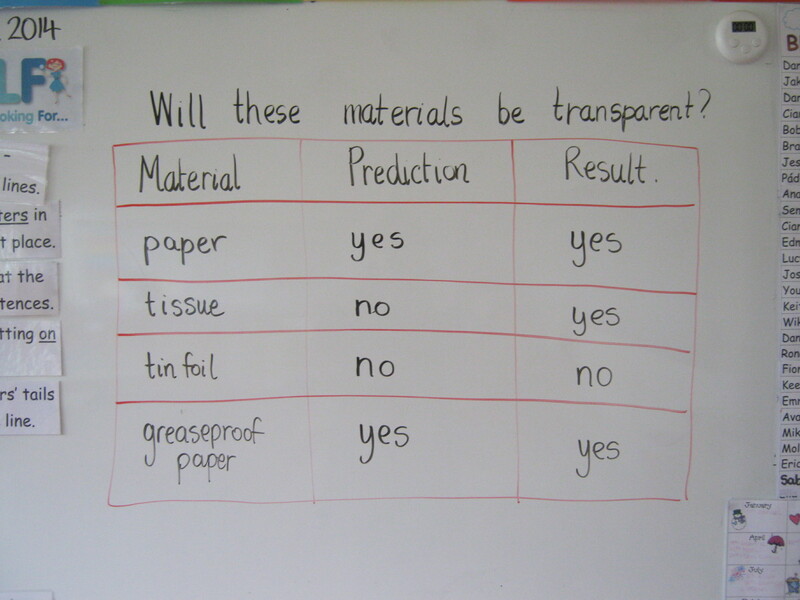 Those things are transparent. Light does not go through other things. Those things are opaque. 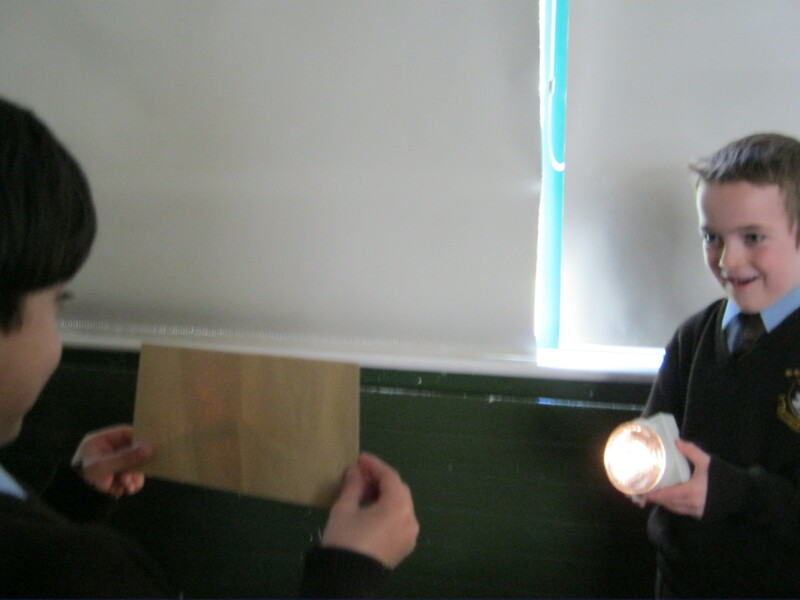 Today during our experiment we created shadows using torches and objects to block the light. 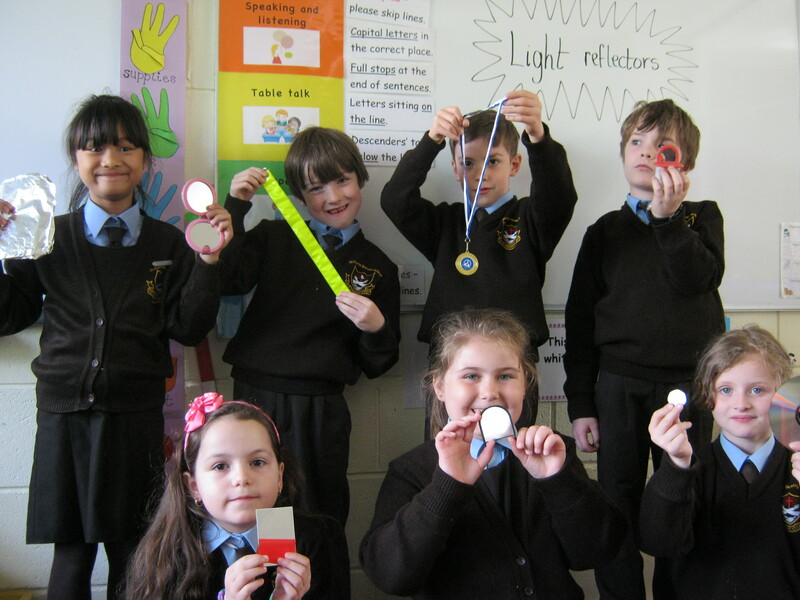 We also saw how light reflects off a mirror. 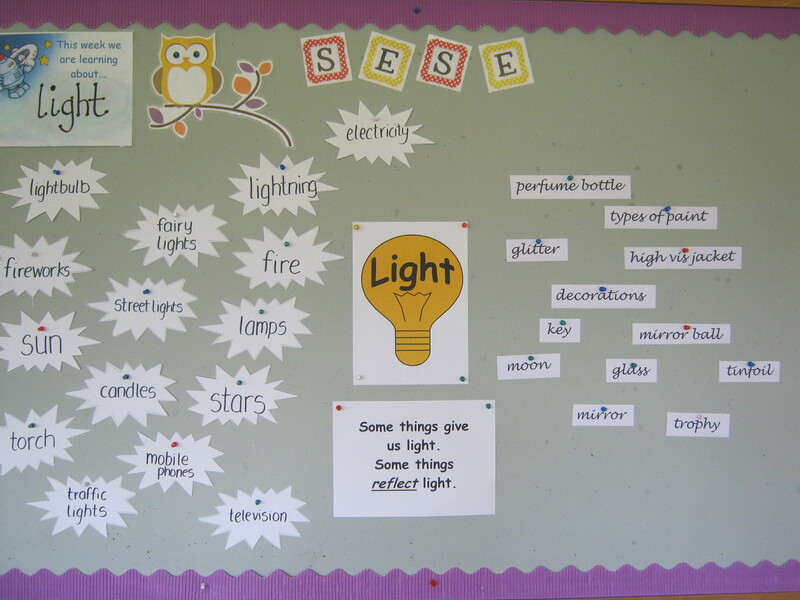 First Class looked at chemical energy and how it’s produced. We discussed what a chemical reaction is. We thought about a chemical reaction we created at the beginning of the school year when we mixed water, yeast and sugar and added it to our bread mixture. 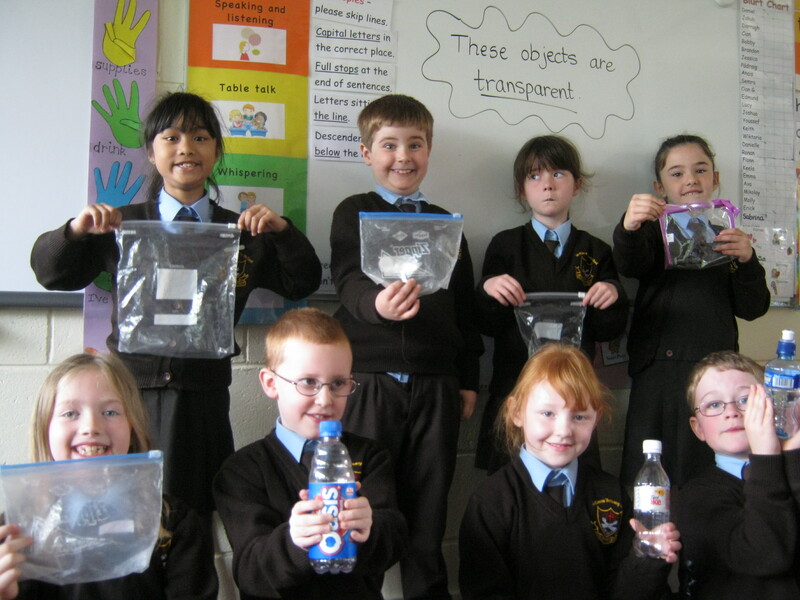 We then investigated two different types of tablets and looked to see what reaction they had in water. The first tablet was an allergy tablet and it did not dissolve in water. The second tablet was a Rubex vitamin C tablet. When the Rubex tablet mixed with the water it began dissolving rapidly creating CO2 bubbles. After that we investigated if water an oil mix. We discovered that they do not mix because water is heavier than oil. We also investigated if our tablets would dissolve in oil. They didn’t. We added food colouring to the water and oil and found that the food colouring mixed with the water but not with the oil. We decided that the food colouring must be the same weight as the water but heavier than the oil. We used this information to create our own Lava Lamps. We poured water, oil and a little food colouring into jars. We then added the Rubex tablet. Check out our Lava Lamp below.